Rotastyle is a traditional family business: its roots date back to 1830, when it launched operations in the field of artistic cabinet-making. Its excellence has been proven by a number of accolades, including the Gold Medal granted by the Queen Mother in 1922, and a few years later, enrollment in Italy’s Book of Gold. As time passed, despite the adversity and challenge life can hold, key values have been passed down from father to son: the ideals of tenacity, ambition, dynamism, and a desire to stand apart. Today, Rotastyle has distinguished itself in the market because of its style, and the extreme deference it shows to the legacy of the departed. A mix of innovation, engineering and creativity take shape in caskets, urns, and funeral décor and accessories featuring a variety of styles and designs. The company mission can be summed up as “The Art of Precious Memory”. Cinzia Rota brought the world of fashion into the company. She curates all product design with great creativity, joining technique and inspiration with spontaneity. 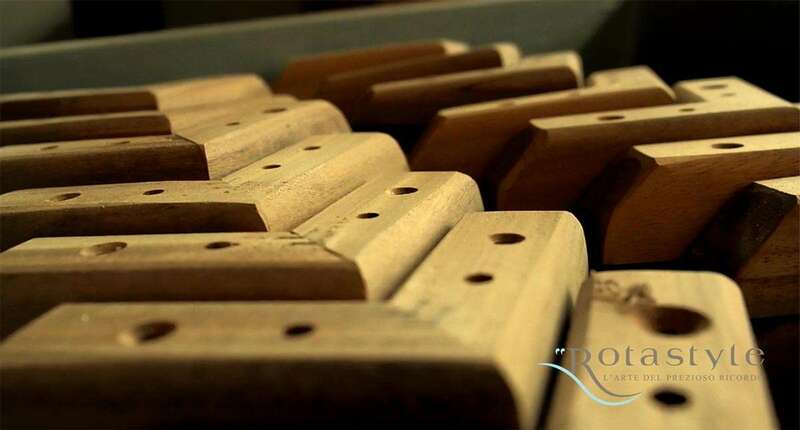 Usually applied to the world of fashion or architecture, design is what transforms ideas and materials into something that improves quality of life: Rotastyle strives to improve the aesthetics, experience, and memory of a rite of passage. Each individual item is created with absolutely authentic materials, carefully selected to offer the best of Made in Italy: wood, precious roots, silvers, gemstones, metals, and special varieties for engravings and leather accents. Innovation never sleeps: the latest challenge for Rotastyle is sustainability. Wood is sourced from controlled-deforestation plantations. Environmentally friendly finishes such as wax and water-based ones have been introduced. The art of precious memory : "the Range of Products"